Passionate, professional staff, catering to your skin care needs. With a range of services to help you look good and feel great. 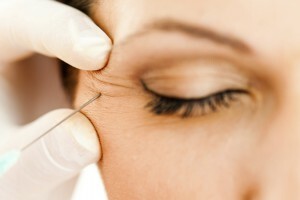 How can injectable Anti-wrinkle treatments benefit me? Find out now. Book to arrange a complimentary consultation. Elegance Skin Clinic prides itself on providing the highest quality injectable anti-wrinkle and dermal filler treatments. We offer a discreet yet central, boutique experience entirely focused on premium nonsurgical cosmetic treatments administered only by highly skilled and passionate staff. Our focus is to give you the care you want, with the safety you need. A range of services designed to enhance your inner beauty. I came to Elegance Skin Clinic to receive filler to my lips. Rhonda was friendly, professional and informative which immediately put me at ease. Rhonda’s consideration for my desired outcome and facial proportions made the procedure a relaxed experience. I am immensely happy with the result. My fuller lips have given me a confidence boost and I will continue to be a client of Elegance Skin Clinic. When I got home after this weeks appointment with you, I looked in the mirror and smiled with delight. So I thought I would write to say thank-you. I’ve been visiting skin clinics for many years and I am so glad that I have finally found you. Your gentle approach means there is minimal pain and combine this with your warm and professional manner and it’s a huge win for your clients. After extensive treatments over a period of time elsewhere, the results that I have seen in only a couple of appointments with Rhonda have completely exceeded my expectations. Not only will I continue to utilise her services, but I have no hesitation in recommending Rhonda to others. Rhonda has worked her magic so gradually and subtly that she has my full trust. In fact, her whole approach and manner would put anyone at ease. I feel like I have gained back some confidence in my appearance. 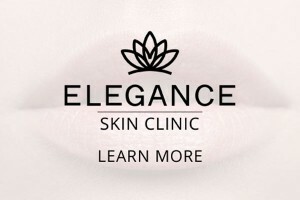 Elegance Skin Clinic is located in Belmont, Geelong and prides itself on providing the highest quality anti-wrinkle and dermal filler treatments. We offer a discrete yet central, boutique experience entirely focused on premium nonsurgical cosmetic treatments administered only by highly skilled and passionate staff.